Please enter details to request a product demo. Please enter a valid email address. The download links will be emailed to you. Know what’s happening right now on your servers. 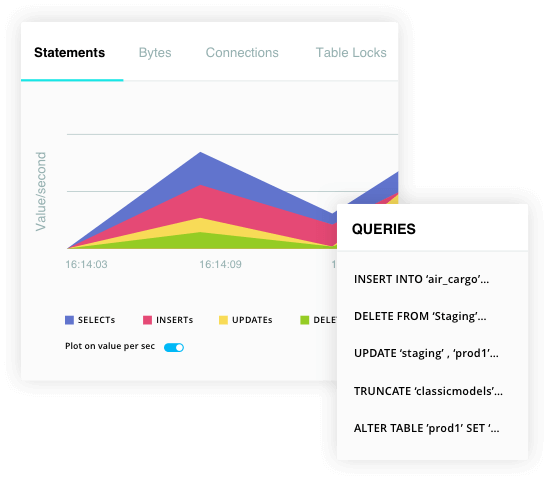 Monitor each query in real-time and identify what is causing a sudden or unwarranted spike in your MySQL databases. Real-time monitoring helps you take corrective action and resolve major issues even before it hits your end users. Find the cause of performance issues. Track all changes done to the MySQL Global variables using the configuration management. You can track and compare changes to the configuration file and identify the reason for performance issues. Reduce excessive CPU usage and query execution time. Monitor locked and long running queries in real-time. Get notifications on mail or SNMP traps for queries that take more than a specified amount of time to execute. You also have the option to configure SQL DM for MySQL to kill, notify or notify & kill such queries. 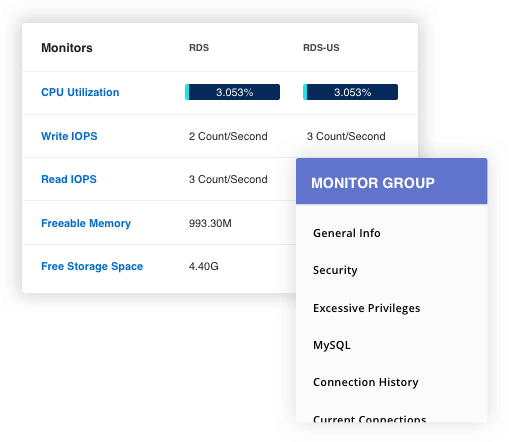 Monitor hosted MySQL like RDS/Aurora. 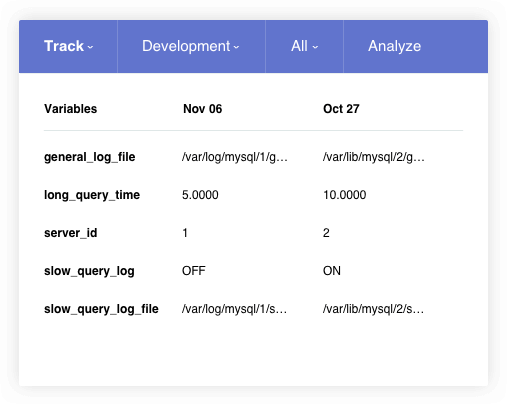 SQL DM for MySQL showcases General Query, Slow Query and Error logs in a single view by making use of the RDS REST API. 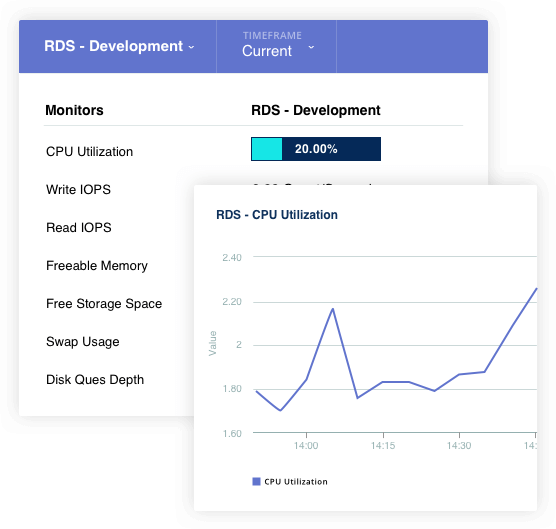 SQL DM for MySQL lets you view RDS OS metrics like CPU Utilization, RAM usage etc. using the CloudWatch API. 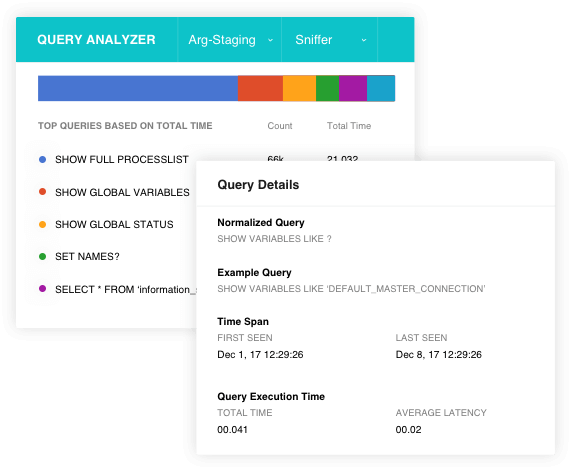 Quickly identify queries that cause performance issues. 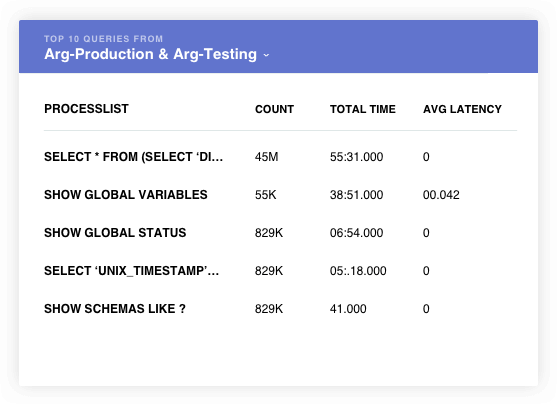 SQL DM for MySQL lets you find top 10 queries across servers based on the total execution time to help improve MySQL query performance. 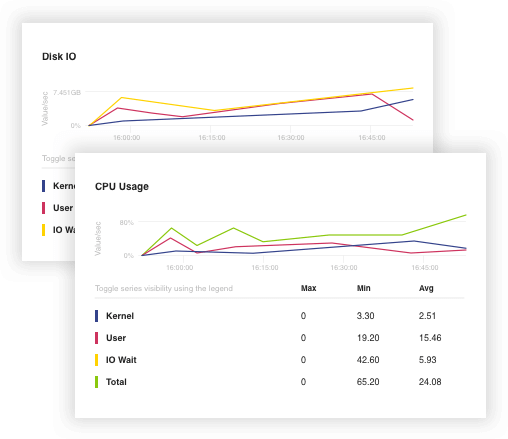 Visualize critical alerts and warning alerts across servers to figure out the cause of performance issues. Spot database performance patterns & trends. Customize dashboard and charts as per your MySQL monitoring requirements. You can expand a particular chart to identify a sudden/unwarranted spike and the queries responsible for the spike. SQL DM for MySQL provides details on queries to debug an event that took place in the past. 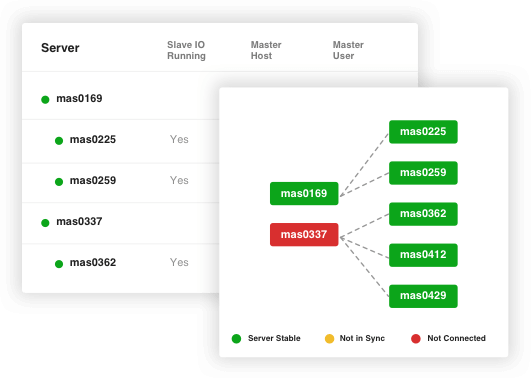 View the replication hierarchy of servers along with details of each replicated server to make sure the data are always up to date. At any time, you can switch from graphical to tabular replication view to get a deep dive into the running servers. High-availability, monitoring, alerts and SNMP traps. Get quick access to 600+ monitors & advisors that continuously check the health status of your MySQL servers. 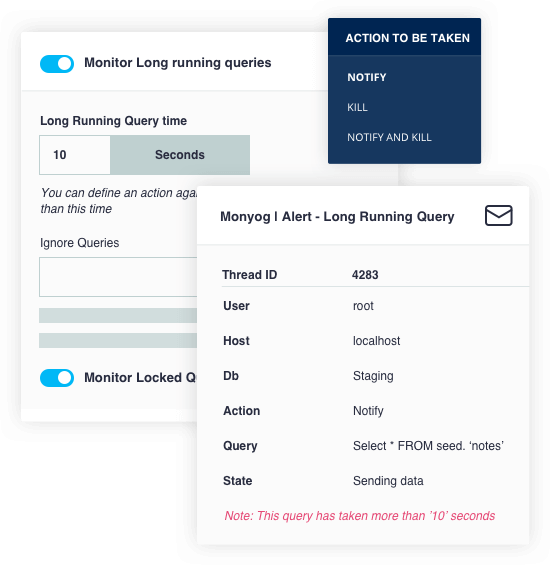 SQL DM for MySQL will send alerts & traps in-case a monitor crosses the set critical and warning threshold value. Find the problematic MySQL queries. SQL DM for MySQL fetches queries from MySQL server using three methods: Processlist, Performance schema and MySQL proxy. Sniffer stores all the historical data in the embedded SQLite repository and helps you find any database problems occurred in the past. Get the details of MySQL queries that are executed. Finding what keeps your servers busy is an important part of database monitoring. SQL DM for MySQL shows the number of threads currently running on your MySQL server and the output of SHOW FULL PROCESSLIST. Copyright © 2018 Webyog Inc.